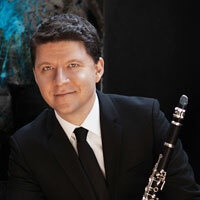 Clarinetist Alexander Fiterstein will be one of the featured performers in several concerts for the inaugural Classical Bridges Music Festival, taking place this summer in New York City. In addition to appearing in two concerts, Mr. Fiterstein will also participate by teaching a variety of studio lessons, masterclasses, and will speak on several panels. The festival will occur from August 4-11th.